Heading back to Sandpoint Idaho today the clouds seemingly each had a spot light of its own with crisp blue skies acting as a back drop. 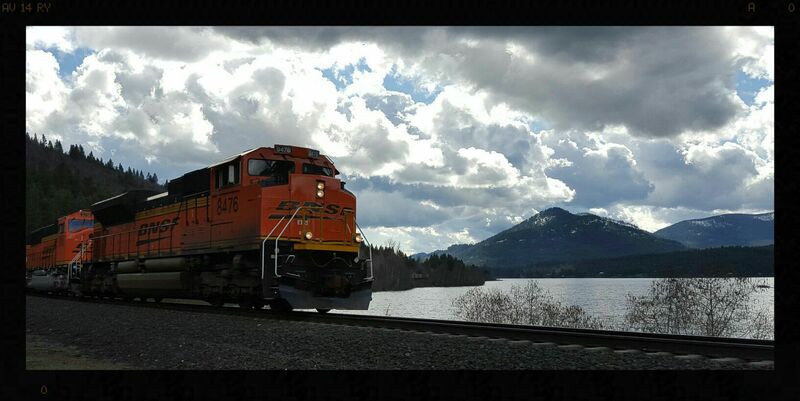 Seeing the train heading north as well I pushed forward in hopes of getting to Lake Cocolalla before the train. My expectations were well rewarded with this shot of the train and Lake Cocolalla and the beautiful skies as a painting back drop.